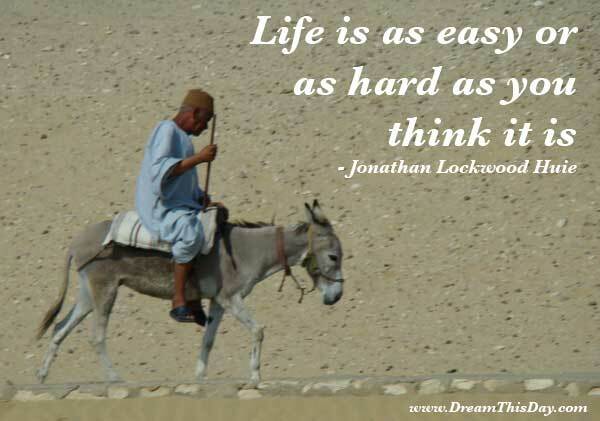 Whenever you say or even think, "This is hard," that task or challenge becomes difficult. Dread it, and it becomes terrifying. When you choose to move past fear - fear of failure, fear of embarrassment, fear of "looking bad," fear of losing respect - life becomes much lighter, and most any task becomes possible - perhaps even enjoyable. Most any challenge can become an adventure of discovery. Adversity can crush our spirit - or strengthen it - it is our choice.